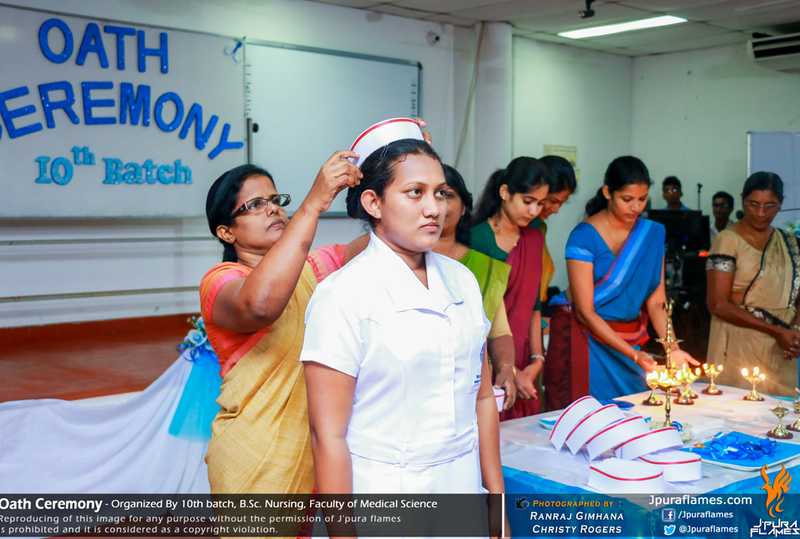 The Oath taking ceremony of the 10th Batch (2013/2014) of B.Sc. 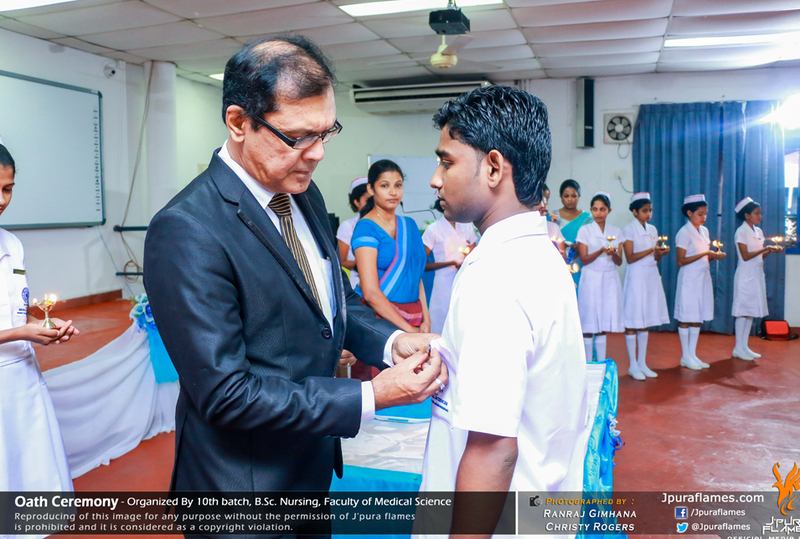 Nursing students was held on 16th December 2016 from 9.00 a.m. to 10.30 a.m. at the Anatomy Auditorium, Faculty of Medical Sciences. 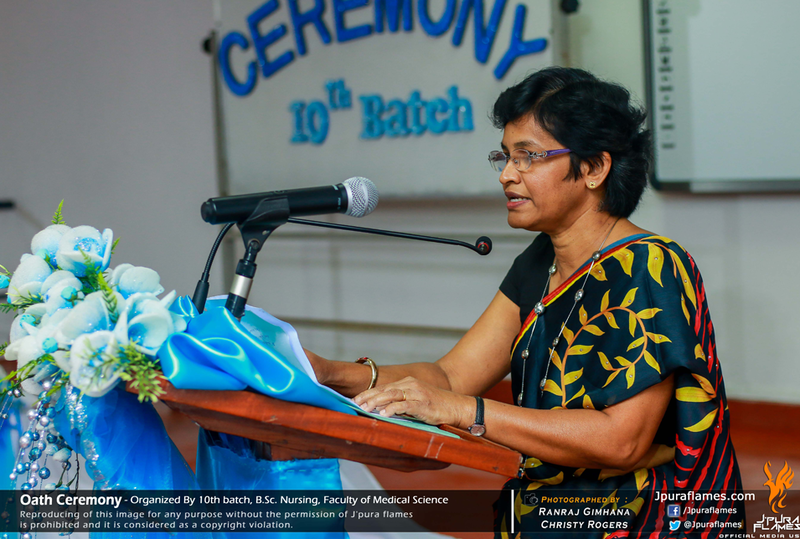 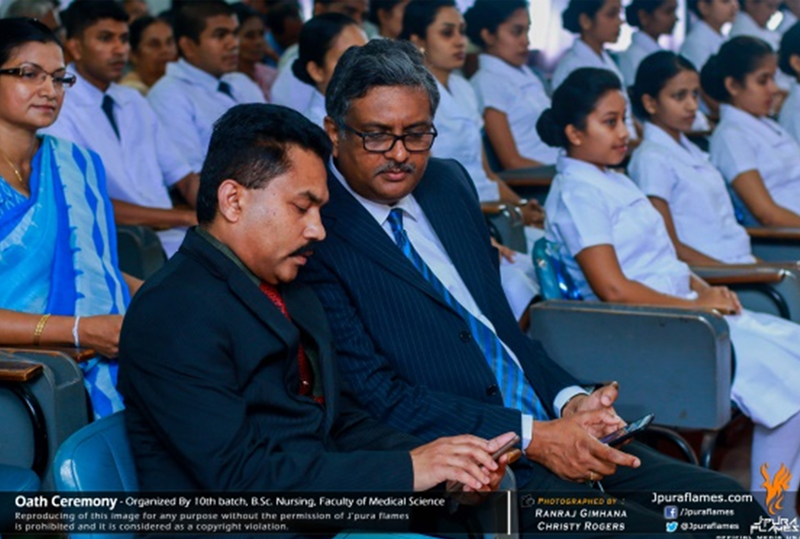 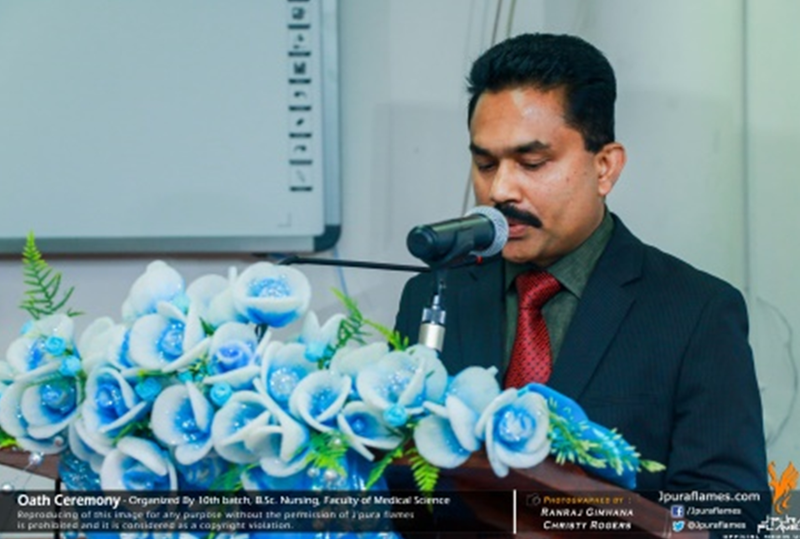 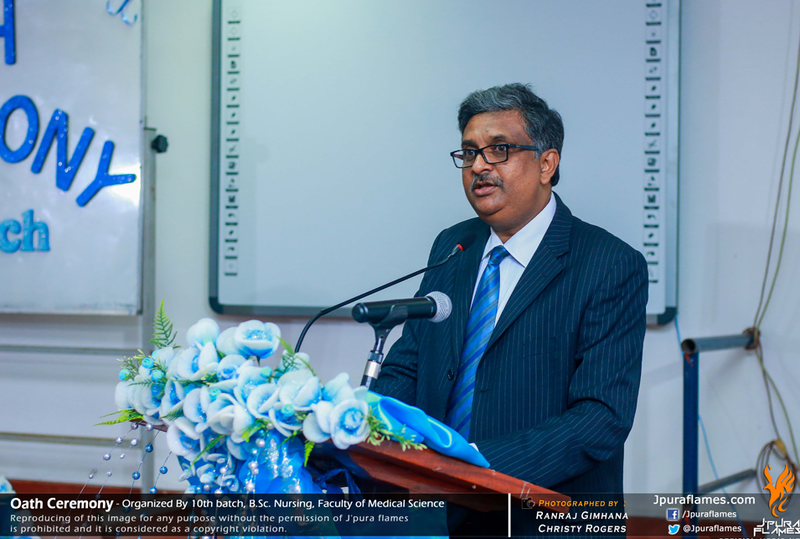 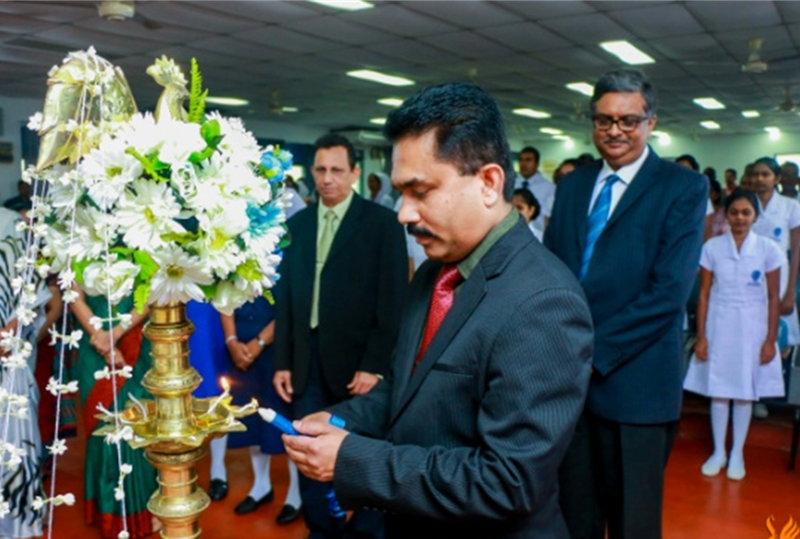 The Guest of Honor was Dr. Rasika Jayasekara, Senior Lecturer of the School of Nursing, University of South Australia. 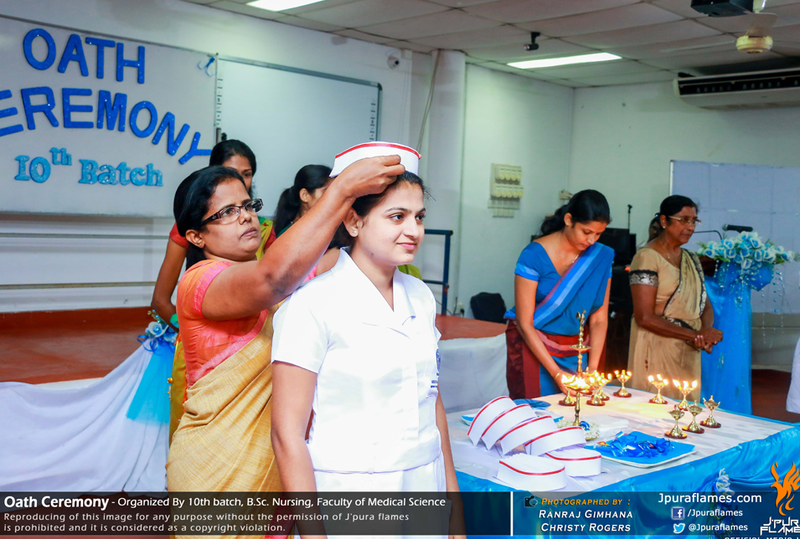 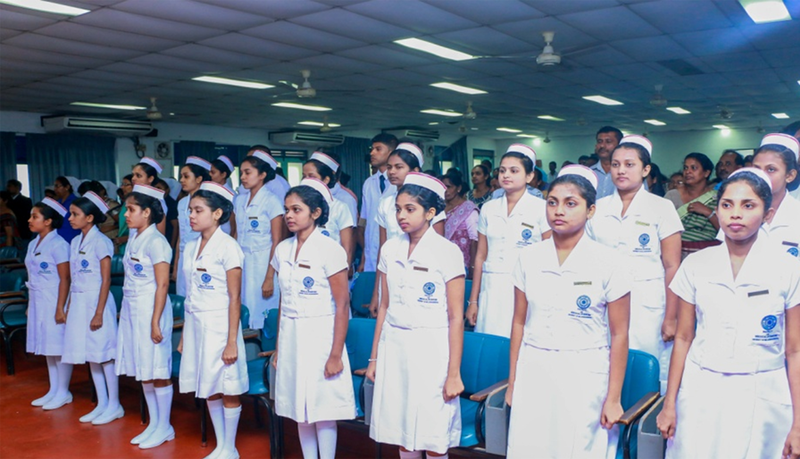 The Oath is taken by the nursing students in their 2nd year after successfully completing the theory and practical components of the subject, Fundamentals of Nursing in their Part I examination. 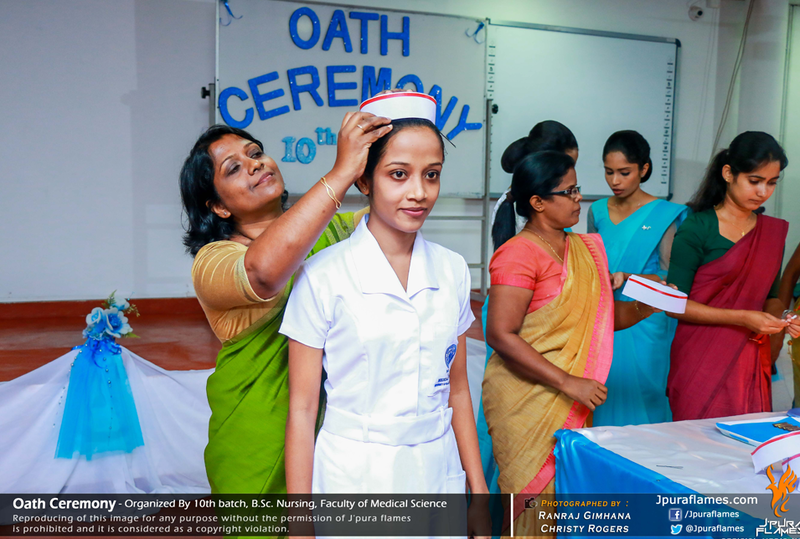 It is a solemn ceremony where the nursing undergraduates take their oath after receiving their cap and the lamp.